The Wachusett Dam in Clinton, Massachusetts. The environmental impact of reservoirs comes under ever increasing scrutiny as the global demand for water and energy increases and the number and size of reservoirs increases. Dams and reservoirs can be used to supply drinking water, generate hydroelectric power, increase the water supply for irrigation, provide recreational opportunities, and flood control. However, adverse environmental and sociological impacts have been identified during and after many reservoir constructions. Whether reservoir projects are ultimately beneficial or detrimental to either the environment or surrounding human populations has been debated since the 1960s and likely before then, as well. In 1960 the construction of Llyn Celyn and the flooding of Capel Celyn provoked political uproar which continues to this day. More recently, the construction of Three Gorges Dam and other similar projects throughout Asia, Africa and Latin America have generated considerable environmental and political debate. As all dams result in reduced sediment load downstream, a dammed river is said to be "hungry" for sediment. Because the rate of deposition of sediment is greatly reduced since there is less to deposit but the rate of erosion remains nearly constant, the water flow erodes the river shores and riverbed, threatening shoreline ecosystems, deepening the riverbed, and narrowing the river over time. This leads to a compromised water table, reduced water levels, homogenization of the river flow and thus reduced ecosystem variability, reduced support for wildlife, and reduced amount of sediment reaching coastal plains and deltas. This prompts coastal erosion, as beaches are unable to replenish what waves erode without the sediment deposition of supporting river systems. Downsteam channel erosion of dammed rivers is related to the morphology of the riverbed, which is different from directly studying the amounts of sedimentation because it is subject to specific long term conditions for each river system. For example, the eroded channel could create a lower water table level in the affected area, impacting bottomland crops such as alfalfa or corn, and resulting in a smaller supply. In the case of the Three Gorges Dam in China the changes described above now appears to have arrived at a new balance of erosion and sedimentation over a 10-year period in the lower reaches of the river. The impacts on the tidal region have also been linked to the upstream effects of the dam. Dams and the creation of reservoirs also require relocation of potentially large human populations if they are constructed close to residential areas. The record for the largest population relocated belongs to the Three Gorges dam built in China. 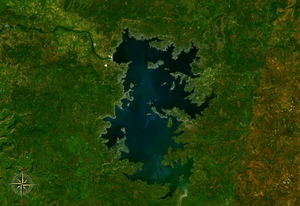 Its reservoir submerged a large area of land, forcing over a million people to relocate. "Dam related relocation affects society in three ways: an economic disaster, human trauma, and social catastrophe", states Dr. Michael Cernea of the World Bank and Dr. Thayer Scudder, a professor at the California Institute of Technology. As well, as resettlement of communities, care must also be taken not to irreparably damage sites of historical or cultural value. The Aswan Dam forced the movement of the Temple at Aswan to prevent its destruction by the flooding of the reservoir. The controversial Three Gorges Dam in China is able to store 22 cubic kilometres of floodwaters on the Yangtze River. The 1954 Yangtze River floods killed 33,000 people and displaced 18 million people from their homes. In 1998 a flood killed 4000 people and 180 million people were affected. A flood in August 2009 was completely captured behind the new dam. In many developing countries the savanna and forest ecology of the floodplains depend on seasonal flooding from rivers. Also, flood recession cropping is practiced extensively whereby the land is cultivated taking advantage of the residual soil moisture after floods recede. Dams attenuate floods which may affect the ecology and agriculture seriously. Water becomes scarce for nomadic pastoralist in Baluchistan due to new dam developments for irrigation. 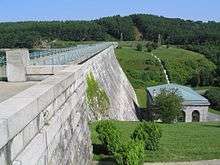 Reservoirs may contribute to changes in the Earth's climate. Warm climate reservoirs generate methane, a greenhouse gas when the reservoirs are stratified, in which the bottom layers are anoxic (i.e. they lack oxygen), leading to degradation of biomass through anaerobic processes. At a dam in Brazil, where the flooded basin is wide and the biomass volume is high the methane produced results in a pollution potential 3.5 times more than an oil-fired power plant would be. A theoretical study has indicated that globally hydroelectric reservoirs may emit 104 million metric tonnes of methane gas annually. Methane gas is a significant contributor to global climate change. 1 2 Mann, Charles C; Mark L. Plummer (August 2000). "Can Science Rescue Salmon?". Science, New Series. 289 (5480): 716–719. doi:10.1126/science.289.5480.716. 1 2 Reservoir Sedimentation Handbook; Morris, Gregory & Fan, Jiahua; McGraw-Hill Publishers; 1998. ↑ Sedimentation Engineering; American Society of Civil Engineers Committee; American Society of Civil Engineers Headquarters; 1975. ↑ Dai, Zhijun; Liu, James T. (2013-02-14). "Impacts of large dams on downstream fluvial sedimentation: An example of the Three Gorges Dam (TGD) on the Changjiang (Yangtze River)". Journal of Hydrology. 480: 10–18. doi:10.1016/j.jhydrol.2012.12.003. ↑ "Review of cold water pollution in the Murray-Darling Basin and the impacts on fish communities". Ecological Management & Restoration. 15: 71–79. doi:10.1111/emr.12074. ↑ C.A.Drijver and M.Marchand, 1985. Taming the floods. Environmental aspects of the floodplain developments of Africa. Centre of Environmental Studies, University of Leiden, The Netherlands. ↑ Climate Change and Dams: An Analysis of the Linkages Between the UNFCCC Legal Regime and Dams. ↑ "Methane Emissions from Large Dams as Renewable Energy Resources: A Developing Nation Perspective". 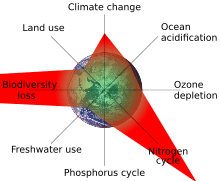 Mitigation and Adaptation Strategies for Global Change. 13: 193–206. doi:10.1007/s11027-007-9086-5.